LOS ANGELES (AP) - A man who was deported six times and is now suspected in a string of killings and beatings that targeted sleeping homeless people in Southern California was charged Wednesday with murder, attempted murder robbery, authorities said. Authorities say suspect Ramon Alberto Escobar has a long criminal record in the U.S. and has been repeatedly deported to his native El Salvador. His arraignment is expected in Los Angeles later in the day. The 47-year-old Escobar is charged with three counts of murder, five counts of attempted murder and four counts of second-degree robbery. He also faces special circumstance allegations of multiple murders and murder during the commission of a robbery, making him eligible for the death penalty. Meanwhile, police in Houston want to talk to Escobar again about the disappearance of his aunt. He was not a suspect when he was first questioned Aug. 30, Houston police spokesman Kese Smith said. Investigators spoke with Escobar because he was one of the last people to see Dina Escobar, 60, before she vanished in late August. Authorities say they found no outstanding warrants and released Ramon Escobar before the three men were beaten to death in California. Escobar said at the time that he was in the country on a work visa, Smith said, a claim echoed by family members. "We had no probable cause to arrest or book him," Smith said. Escobar, believed to be homeless himself, likely targeted victims to rob them, Los Angeles police Capt. William Hayes said. Detectives have seized a wooden baseball bat and bolt cutters that they believe were used to bludgeon men on the beach or on the street in Los Angeles and Santa Monica, police said. All but one of the men was homeless. Escobar was being held without bail. U.S. Immigrations and Customs Enforcement officials have filed a detainer seeking to take him into custody if he is released, the agency said. Escobar was first ordered removed from the country in 1988 and was deported to his native El Salvador six times between 1997 and 2011, ICE said in a statement. He was released from ICE custody last year after successfully appealing his latest immigration case, ICE said. The agency didn't indicate his current legal status. However, Escobar has six felony convictions for burglary and illegal reentry, the agency said. Escobar spent five years in prison for robbery starting in the mid-1990s, Hayes said. Records in Texas show Escobar has had arrests for vehicle burglary, trespassing, failure to stop, public intoxication and two assaults, most recently in November 2017. That case was a misdemeanor. Dina Escobar's burned van was found in Galveston, Texas, a few days after she went looking for her brother. She was last seen Aug. 28, two days after her brother vanished, the statement said. 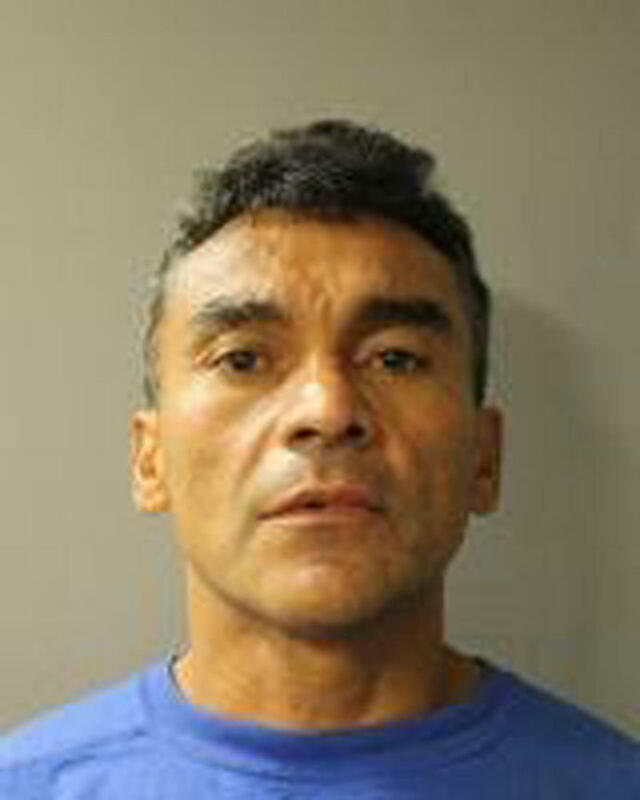 Dina Escobar's daughter, Ligia Salamanca, told KTRK-TV in Houston that her cousin, Ramon Escobar, had never come across as violent and wasn't a source of trouble for the family. "She loved him as she would a son," Salamanca said of her mother's devotion to Ramon Escobar. Salamanca said he had been looking for work and needed a place to stay, so he was taken in by his uncle, 65-year-old Rogelio Escobar, who also went missing. Investigators believe Ramon Escobar used a baseball bat to bash the heads of three homeless men sleeping on downtown Los Angeles streets before dawn on Sept. 16, police said in a statement. Two died. Another man who apparently was sleeping on the beach was found dead under the Santa Monica Pier on Sept. 20. Steven Ray Cruze Jr., 39, of San Gabriel had been beaten to death. Authorities at first described him as homeless, but family and friends said the father of two, who loved to fish at the pier, worked on boats in neighboring Marina del Rey and sometimes camped out under the pier to avoid the long commute home. Associated Press journalists Elliot Spagat in San Diego, Robert Jablon and John Antczak in Los Angeles, David Warren in Dallas and researcher Jennifer Farrar in New York contributed to this report. WASHINGTON (AP) - There's a whole lot of shakin' going on in Southern California - 10 times more than seismologists had thought. But most of those earthquakes are so tiny that no one feels them.